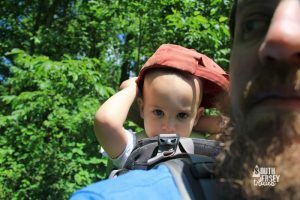 Many months ago, our buddy Jeff of getoutsidenj.com was expecting his first kid, and had reached out to ask how you get your young ones outside. I deferred the question to my wife. 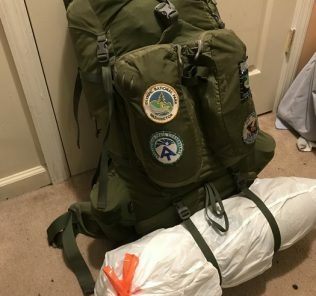 While our own baby got in the way of getting this our in time for Jeff’s child being born (by months and months and months), hopefully this can be helpful for those looking to get the newborn to five crowd out in the woods! Thank you to my wife, Alix, for writing this! – When does a hiking backpack some into play? – How can someone be sure that the infant carrier bedsheet looking thing is tied properly… or why they should/should not use that. – How do you deal with temps (warm/cold), humidity? How to know if your kid is comfy? When we were expecting our first baby, I was a bit superstitious about buying baby items, and so we purchased very few items in advance of his arrival. I made an exception, however, for one particular item: a green Moby wrap with an owl embroidered on it. Meanwhile, my husband requested a Little Life baby backpack carrier as a present for his birthday – an event that preceded baby’s due date by a full three months, and, the pack would not be able to be used for an additional six months (because a frame backpack cannot be used until the baby can sit independently). 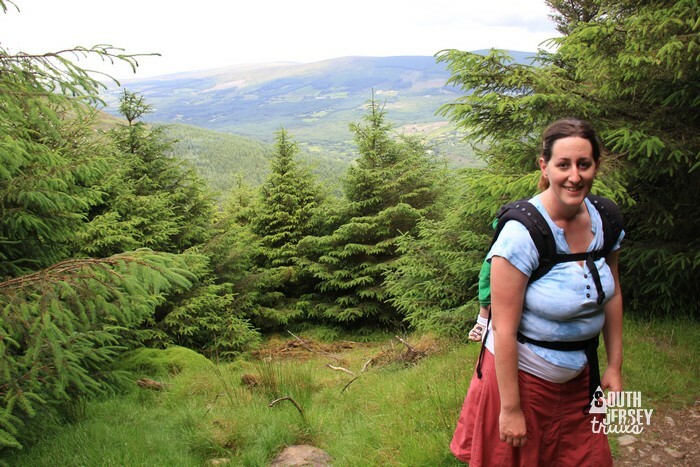 Babywearing in the Wicklow Mountains of Ireland. 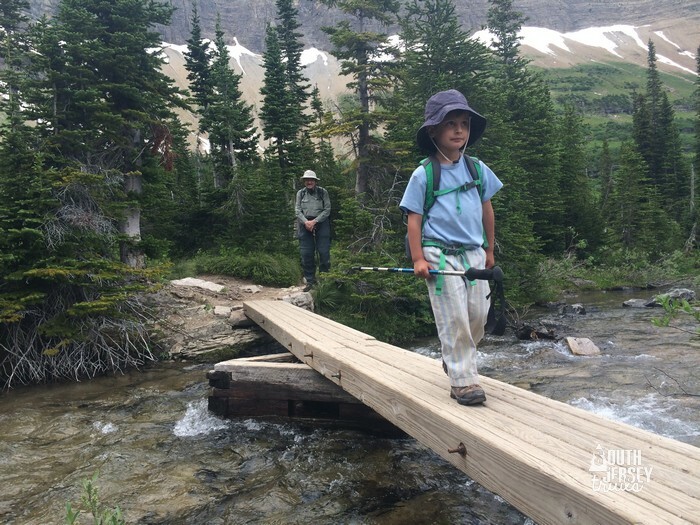 step in sharing our love of the outdoors with our children. 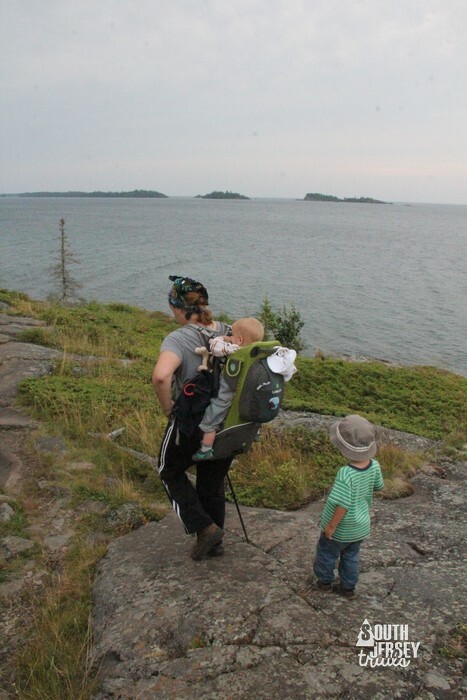 In the past six years, we have hiked the Wicklow Mountains with an infant, navigated Mammoth Cave with a baby and toddler, and backpacked with on Isle Royale with a toddler and preschooler, among other adventures. 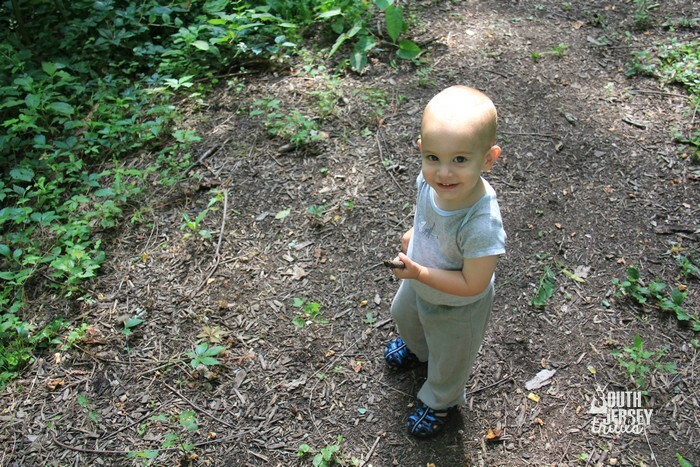 Here are a few of our tips for introducing the outdoor life to your babies and toddlers. Babywearing (the modern term for using a carrier or to attach your baby to your person) has been essential to getting out in nature with our babies. Babywearing International is a great resource for learning more about the various carriers available and how to safely use them; most areas have a local branch of BWI, with trained volunteers who can assist you in learning to use each style of carrier properly. 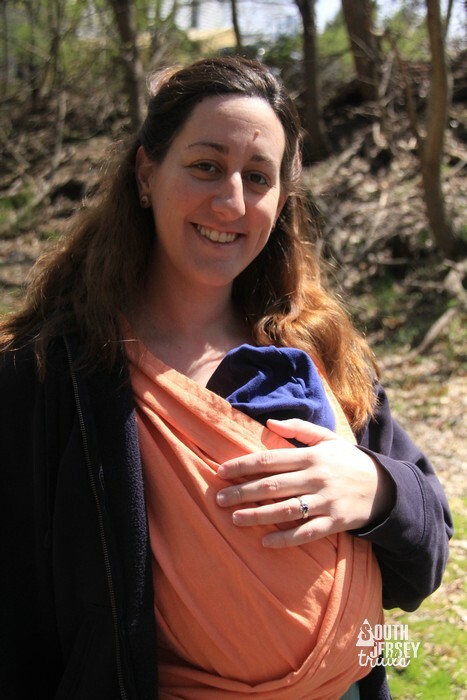 A ring sling is worn across the body and over one shoulder, and has the advantage of being adjusted quickly and easily; it is great for newborns, but not practical for long walks, as it does not evenly distribute the weight of the baby, and can become uncomfortable after a time. A wrap is a long piece of sturdy fabric that is used to tie baby to the wearer. The advantage of wraps is that they are suitable from birth and do an excellent job of distributing baby’s weight. They do have a bit of learning curve, however, and some people find the yards of fabric unwieldy. A soft-structured carrier is made of soft material with buckles and straps, and is closest to the back-pack frame-style carriers, only without a frame. These can be used quite early on (from birth with some adjustments, or more easily, from 6 weeks or so onwards), distribute baby’s weight evenly, and are easy to learn how to use. 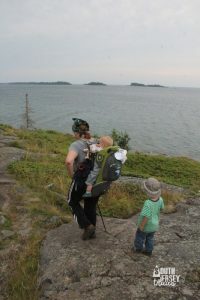 A frame-style backpack is similar to a regular backpacking pack, with a seat for baby. These are bulkier than the other styles, but do an excellent job of distributing weight, and additionally, allow the wearer to also carry water bottles, diaper supplies, etc. These cannot be used, however, until the baby has established complete head control and can sit independently (usually starting around 6-8 months). Three month old scaling Skellig Michael. 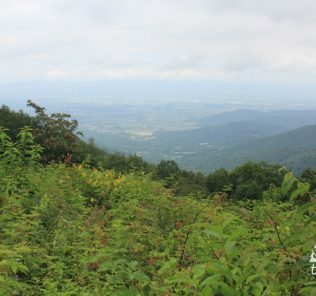 Our second child’s first hike was at 7 days old, thanks to a quick recovery and a carefully-chosen short and flat trail. Hiking with an infant does require some special considerations. Babies this young eat and sleep at unpredictable times, but are usually quite content to be nestled inside a carrier, where the rhythm of your walking will often rock them to sleep. It is even possible to nurse while baby is inside nearly any style of front pack carrier, although this can be more challenging in the very beginning. (I’ve found nursing easiest in the ring sling, but have been able to do it with all of our front carriers.) Mothers, as well, should take care not to overdo it in the earliest days, as strenuous activity can increase the recovery time needed from birth, so choosing a short, easy hike you are familiar with is a good idea. Our babies have been breastfed, which makes hiking and travel in general very easy, as baby can be fed anywhere and anytime. A bottle-fed baby who is not particular as to temperature can also be fed en route. Generally, infants go about 2 hours between feedings, which is enough time for a good hike. Infants do need to be protected from the sun, but should not have sunscreen applied to their skin. Instead, we make sure they are covered, using light, loose clothing, including a hat. Insect protection is another concern; even natural bug sprays cannot be used on such small babies, but there are other options you may want to explore if this is an issue for you. Keeping the baby covered helps with this as well, and we have also used bug bands on carrier straps, which seems to help. We always check for ticks afterwards. Cold weather can be a challenge with small babies. There are special baby-wearing covers available, as well as coats made specifically to fit over both the parent and the baby in a front pack, but we have always just tucked warm blankets around the baby and tied the blankets to the carrier straps. I also have a few coats in larger sizes that accommodate us both as necessary. The baby’s body will draw warmth from being against yours, and arm and leg warmers can be made from old sweaters or socks to cover his extremities. Be aware that baby carriers spread out the baby’s legs and make his pants ride up – be especially careful to make sure lower legs are well-covered, using knee socks, pants a size or two bigger, or leg warmers. Like you, baby should be dressed in layers. A warm hat to top the ensemble off is essential! Always have an emergency pack of a change of diapers and clothes (and perhaps an extra shirt for yourself as well) available. 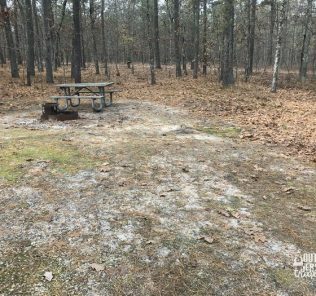 Since you may find yourself changing a diaper in the middle of the woods, remember a plastic bag or wet bag to carry the whole mess in! I put a few wipes inside a small plastic zipper bag, and put it in a larger bag along with a diaper and a clean sleeper, to make it easier to carry. Around six months, many babies develop enough head control and the ability to sit up properly to ride in a frame backpack carrier, or on your back in a soft structured carrier (but do keep an eye on baby’s head, to make sure it is upright against your body, not flopping backwards). 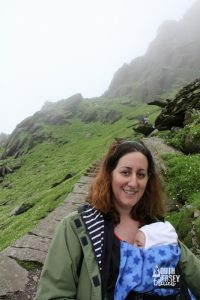 This is an exciting transition, as the baby is also developing his interest in the world around him, helping him enjoy the hike better and making him a more engaging hiking companion! All of the above topics continue to be of concern. 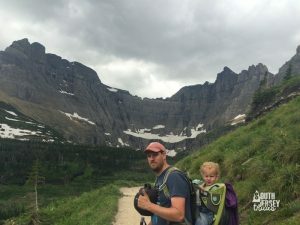 Babies of this age may go longer between feedings, and they will also begin to drink water out of a cup and eat some finger foods, which means you have more options when it comes to eating and drinking on the trail. Sun protection remains important, and you will want to consult your pediatrician and research different types of sunscreens before applying one to your baby. Making an early habit of wearing a hat, winter and summer, will make it easier to enforce later. In warm weather, you will want to make sure your baby is hydrated, frequently offering water or milk. Keep an eye on your baby’s skin, eyes, and general demeanor to see if he seems to be overheated. We aim for a balance between keeping baby covered (to avoid insect bites, chafing, and sun exposure) and cool. In cold weather, continue to dress baby in warm, dry layers, as you do yourself, but keep in mind that your baby is not exerting himself as you are, and is likely cooler than you. His extremities may be cool to the touch, but it is important that his core stays warm. If you are out in rain or snow, you will want to add a waterproof layer, such as a one-piece rain suit. Once your child becomes a confident walker, you may face a new hiking challenge as your little passenger demands “Down!” from the backpack. He may want to walk a few steps down the trail, resist your efforts to return him to the pack, or decide to sit and play in the dirt. If your goal is to rack up mileage or reach a campsite before dark, you may need to get your child back in the pack and moving quickly. However, at least sometimes, it is good to let the child set the pace. One of our goals in hiking with our children has always been for them to feel at home in the woods, happy and confident in the outdoor world, and these experiences build their love for nature. We have found that all of the previous concerns continue to become easier to manage as a baby becomes a toddler. You have more options for sun and insect protections, clothing and gear fits better, and options for food and drink continue to expand. Toddlers are less likely than babies to have a diaper problem on the trail, but whenever you begin toilet training, think about how you will handle that on the trail. You may also need to be prepared to change out of wet clothes along the way, if you let your child out of the pack. Children this age do not need specialized foot wear, but should have their toes covered, and a protective but flexible sole. The frame backpack has been most comfortable for us as the child gets heavier, and he can still comfortably nap in the pack. While most children have regular routines for sleep at this point, they will often fall asleep in the pack regardless of their nap schedule (just as they do in the car). Small toys can be attached to the straps of the carrier, if necessary, for entertainment, but your child will also enjoy looking around and singing and talking along the way. The Pres – Age 4 – Glacier National Park. child is happy and safe, you can let him set the pace, but do keep in mind that there is usually more enthusiasm heading into the woods than out! Some children will happily hike in and ride out in the pack, but others will not walk if they see the carrier. (When this happened with one of ours, we stopped using the pack and limited ourselves to shorter hikes until he built up to a few miles.) Children this age are also very verbal about their discomfort (which is helpful, taking out the guess work required with babies), and being warm, dry, and comfortable is very important to them. Some children enjoy carrying a very small backpack with their own water bottle and snack, or using a small hiking stick. 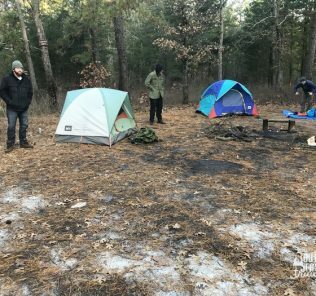 They can begin to understand trail maps and look for blazes, and are often motivated by being the leader and making decisions. Identifying trees and birds, looking for animals, telling stories, counting (steps, birds, dogs), and singing are just a few of the ways we’ve entertained each other for many miles. Hiking with young children is a wonderful way to spend time together and to foster the love of nature that children are born with. With a little bit of extra thought and preparation, your child can enjoy the trail just as much as you do! Further reading: Jennifer Aist’s Babes in the Woods: Hiking/Camping/Boating with Babies & Young Children has been a wonderful source of both inspiration and information. A note about gear: Here are a few brands and retailers we have found useful in outfitting our children. For cold/wet weather, base layers should be synthetic or wool, not cotton. Multiple lighter layers are always better than one heavier layer. Biddle & Bop (online) specializes in wool base layers and rain and snow gear, from babies on up. Thank you again to Alix for the article! Great article! I love the emphasis on families and bring nature into the lives of children. 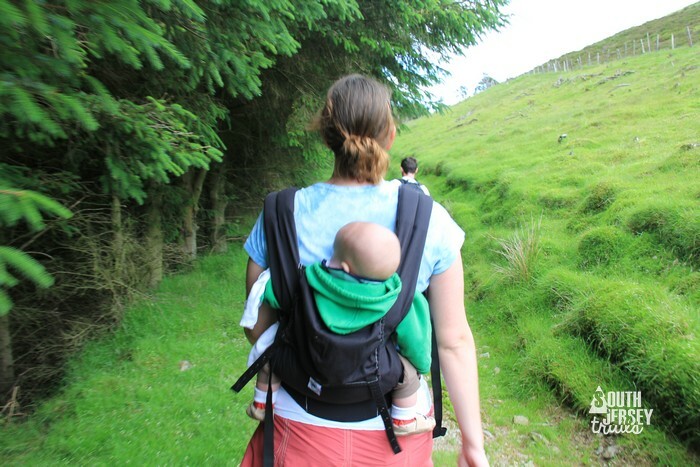 It’s truly a wonderful experience to be able to hike with your little one and baby wearing is such a great help! I enjoyed reading your blog. Thanks for sharing your experience.